I have sculpted Miracle by hand....out of polymer clay. I have used no molds whatsoever. 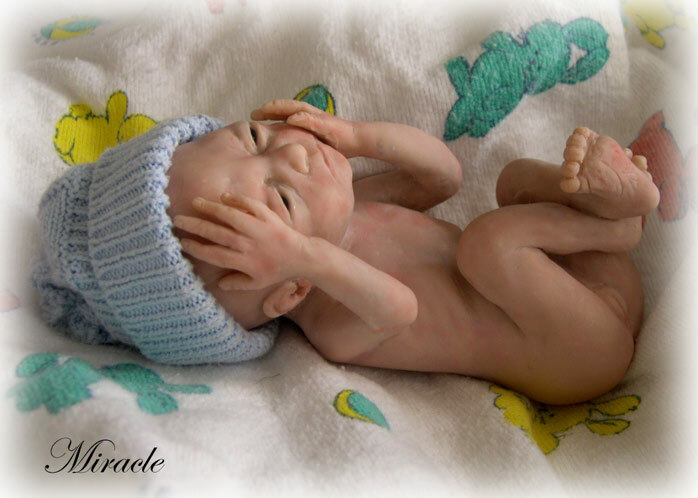 I have taken the time to sculpt this special Miracle for all you you mom's who have written me who need this baby! 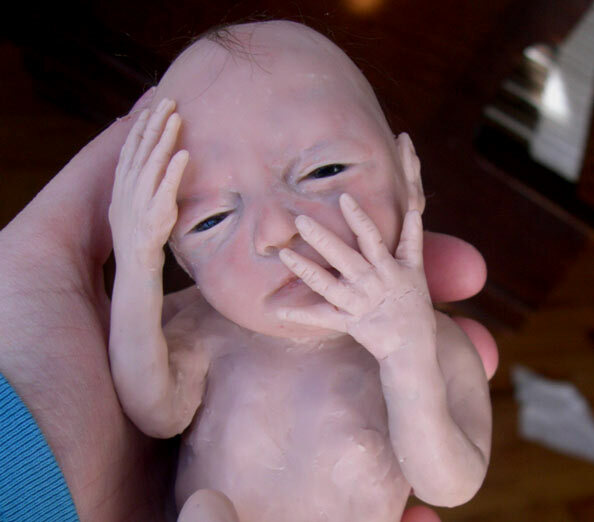 This baby was extremely difficult to sculpt......much harder than my full size cloth bodied sculpts. I did NOT make Miracle to be simply a "mini" sculpt. 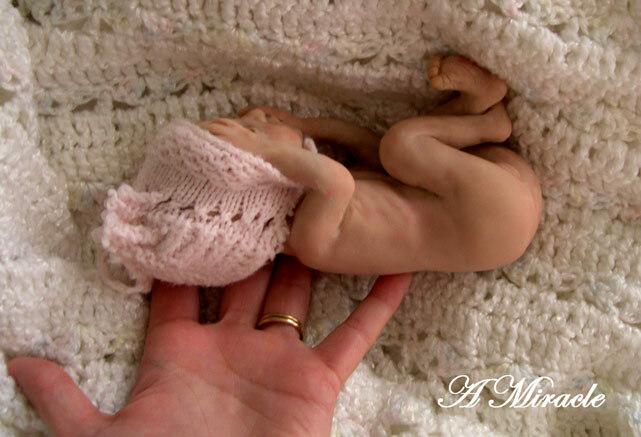 She is a True To Life sized and proportioned Infant born at around 24 plus weeks. 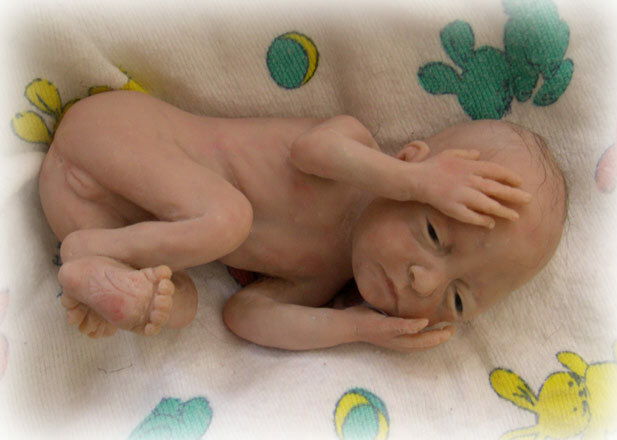 All preemies born this age are helpless little humans. This baby really is a true Miracle. to see lots of beautiful "National Geographic" images of babies still inside of the womb...some 24 weeks. A baby born at gestation age 24 weeks can and does survive outside of the womb; yet babies this very age are being aborted by the thousands each day in America. 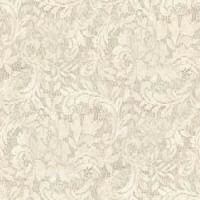 I have made Miracle as a tribute to all the babies this very age who were not "chosen"